This post describes the steps needed to make NGX’s USB ARM JTAG to work with OpenOCD in windows 7. 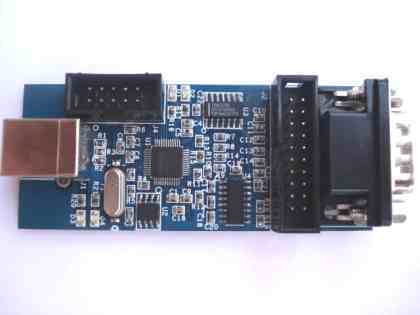 This JTAG is compatible with colink JTAG and works with IAR Workbench and Keil uVision. To use with these IDEs there is a well defined methods/plug-ins available in the product page and in internet. 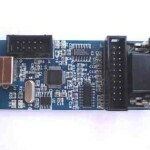 However to use this JTAG with OpenOCD there is scarce resource in the internet. OpenOCD can be used to low level debugging, source level debugging (through GDB) and can be used for flashing. OpenOCD exposes a command line interface which can be accessed through telnet. It also provides remote GDB server which also can be reached through TCP connection. After this the target board will respond to JTAG commands which can be issued through the telnet session. For GDB debugging, you need a cross compiled GDB(arm-none-eabi-gdb). After launching arm-none-eabi-gdb.exe run target remote localhost:3333 to start remote debugging. You can execute low level JTAG commands from GDB by using monitor command. While investigating about gcc flag “-fprofile-arcs”, I came to know about a new(to me) gcc flag and this blog entry is about it. For any large C project it is hard to learn/find call graph through code walk. From C prospective unless otherwise you put a printf in each function entry/exit it is hard to find the call trace. GCC and ICC has a wonderful option “-finstrument-functions” to solve this. This option instructs the compiler to emit instructions to call a external function on each function’s entry/exit. Defining these two functions like the following and adding the above option -finstrument-function to your makefile will do the magic. Of course, you can do anything in these functions, for simplicity sake I just defined them as printfs. The necessity for using ICC happened to me because gcc was generating too big object files. Ace is using ACPI-CA(http://acpica.org/) as it is ACPI driver. After compilation the ACPI library is around 7M in debug version and around 500K in non-debug version. But from http://acpica.org/download/changes.txt it seems Microsoft C compiler produce smaller code. So I decided to try “Intel Compiler” as replacement for GCC. Things were easy, since icc has options which is similar to gcc. You can get the details of portability options from icc documentation – http://www.intel.com/software/products/compilers/docs/clin/main_cls/index.htm. I just changed my make.conf file to check the compiler in use and use appropriate options. I removed -fno-leading-underscore and –Wall. I removed –Wall because it was giving lot of warnings, we have to fix our code sometime soon. I removed -fno-leading-underscore because there is no equivalent option in icc, however icc does not adds underscores to symbols anyway. I added –O1 option because the kernel was panicked during boot with invalid opcode exception, I believe it was because of some MMX register usage by icc. So I settled with –O1 now. I also made some static variables in kernel/i386/gdb_stub.c to non-static because icc appends .0 to static variables but it forgets the same name when referenced in a inline assembly code in the same file. After removing the static attribute it is working fine. gcc compiler took the following time to compile Ace source code. icc compiler took the following time to compile Ace source code. Gcc produced double the size of kernel.sys produced by icc. (I used GNU linker(ld) and ar). Conclusion: So it is easy to switch to icc instead of gcc.